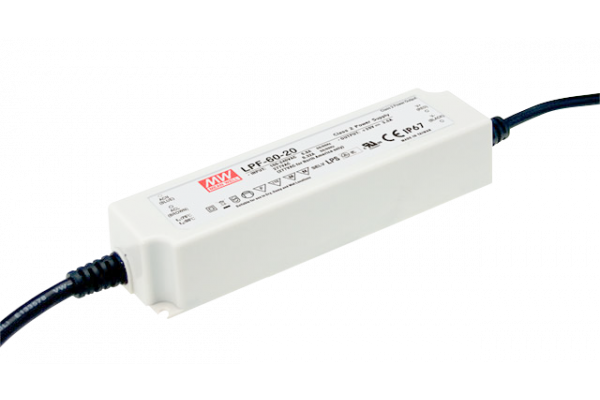 This LED Power Supply from Mean Well will provide a constant 24VDC and can deliver up to 2.5A. It is ideal for powering Loxone LED Spots, especially in retrofit installations where no central 24V distribution is present. In spite of this high output, it operates silently without any audible hum. LED Strip with 300 warm white LEDs for optimal indirect lighting in your home. The strip can also be divided or lengthened.